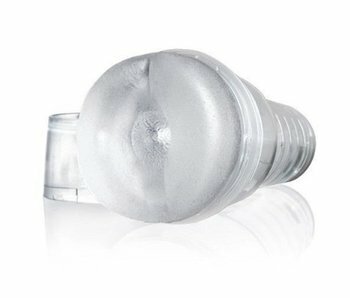 Slip into the seductive lips of the Ice Mouth Fleshlight and see penetration as you have never seen it before. 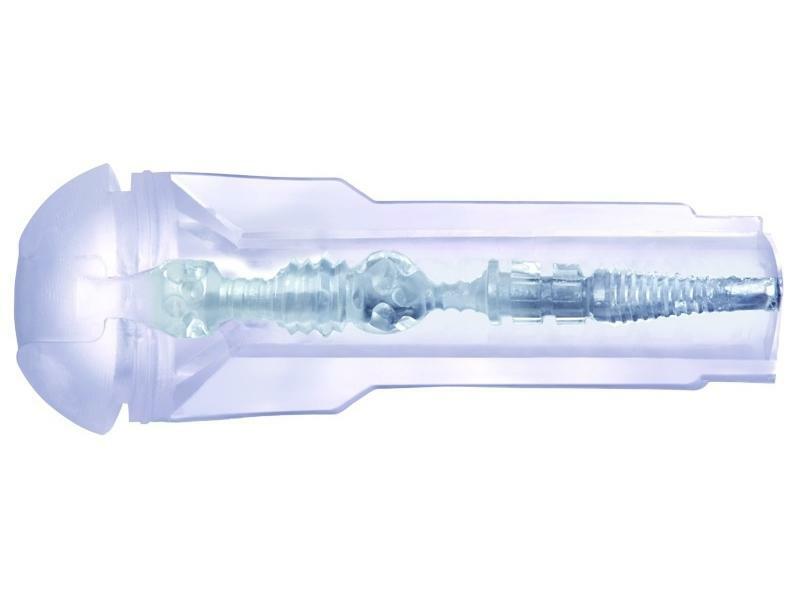 Fleshlight's same super-soft, patented Superskin™ masturbation sleeves, colored clear for enhanced visual stimulation but all the same pleasure as the original pink. Adjust the end cap for desired suction. Experience amazing sensations and see penetration as never before. A refined sleeve, more compact than most Fleshlights. This tight canal features textured waves and pleasure chambers. This masturbator is lined with raised nubs for extra sensations. 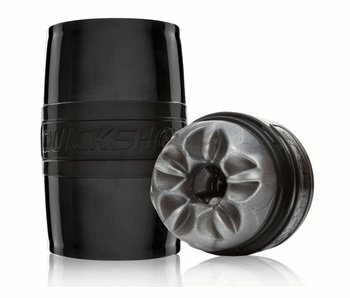 Everything you love about a Fleshlight, now with vibration!